Looking for a way to spruce up your backyard? 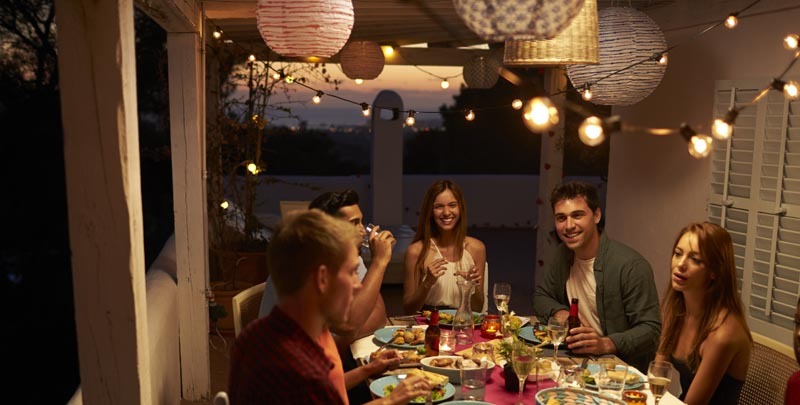 We all know lights can change a space and add depth, excitement and make a drab space where you want to hang out and invite your friends. 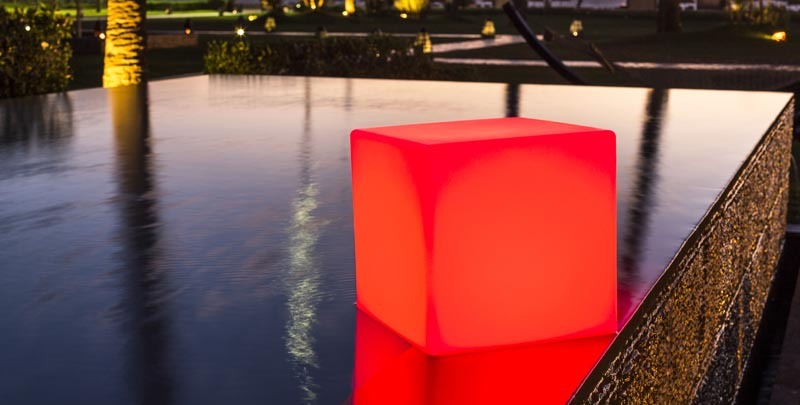 So without further ado, here are 5 creative outdoor lighting ideas for your backyard. 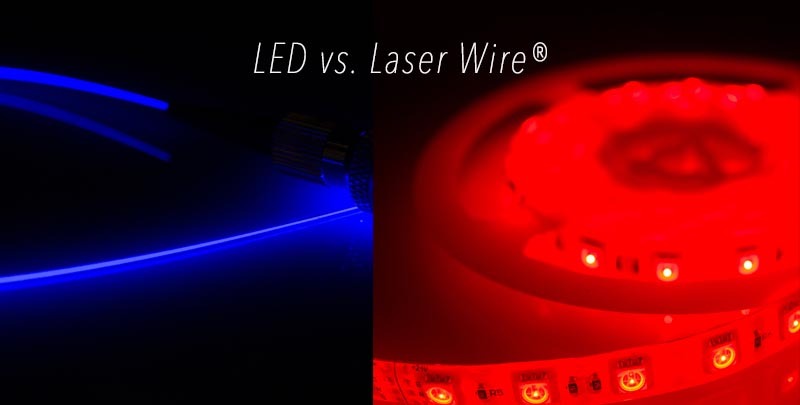 Line the railings of your deck with diffused Pixel-Free LED. 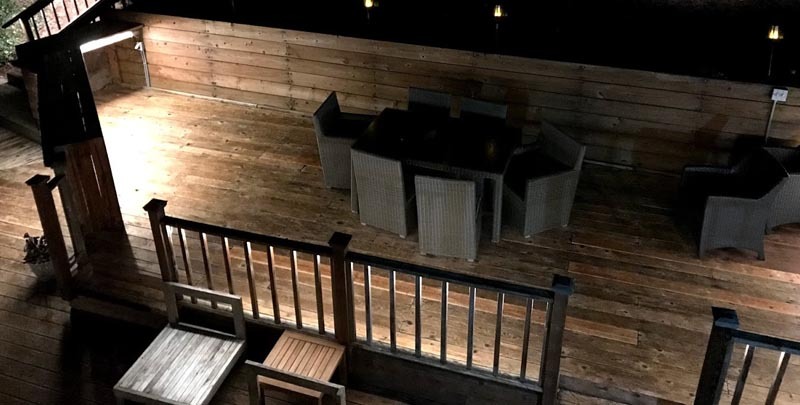 In less than an hour, you can have a beautiful glow on your deck, without having to be bothered by seeing the harsh spots of LEDs any longer. The light output is beautiful and can be dimmed for intimate settings. Add some fun LED furniture! 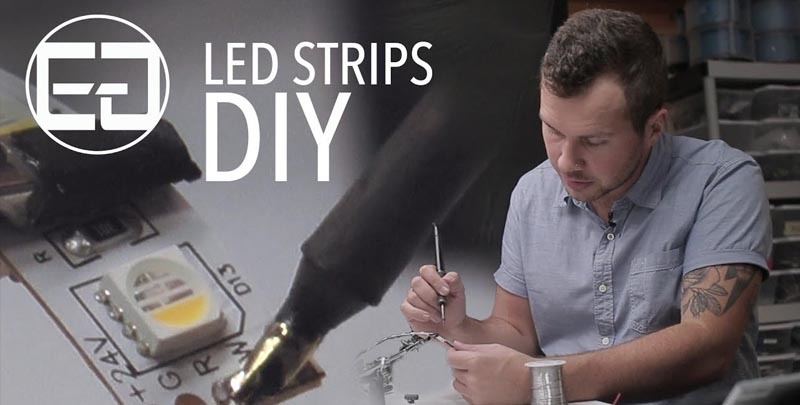 LEDs have come a long way since they hit the market in full force about 20 years ago. 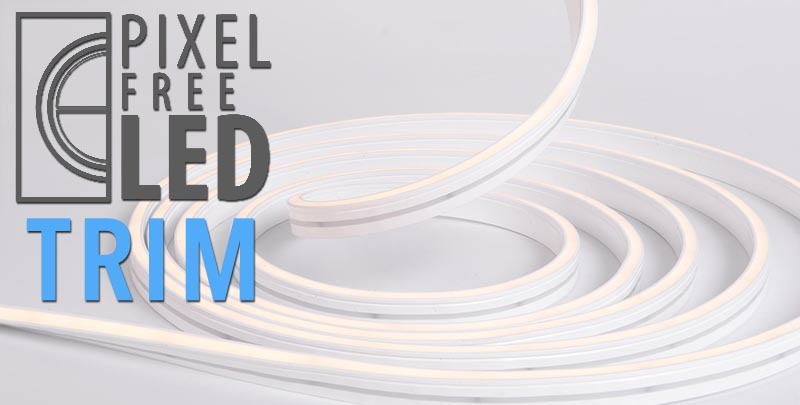 There’s an LED for just about any type of event or space and adding some unique LED end tables, or waterproof LED furniture is a great way to highlight certain areas, have an unforgettable pool party, or even shed some light on a walkway you’ve long forgotten about. Get some flame-like solar candles. Live in an area with a burn ban, or just don’t want the hassle of lighting tiki torches each night? Me either! Check out these super cool “tiki” like LED garden stakes that turn on at dusk and recharge via an integrated solar panel. Hang LED party string lights. Nothing says a party like party string lights so bust out your ladder and find a place to hang these. Takes minutes to install and creates the perfect outdoor setting for any backyard event. 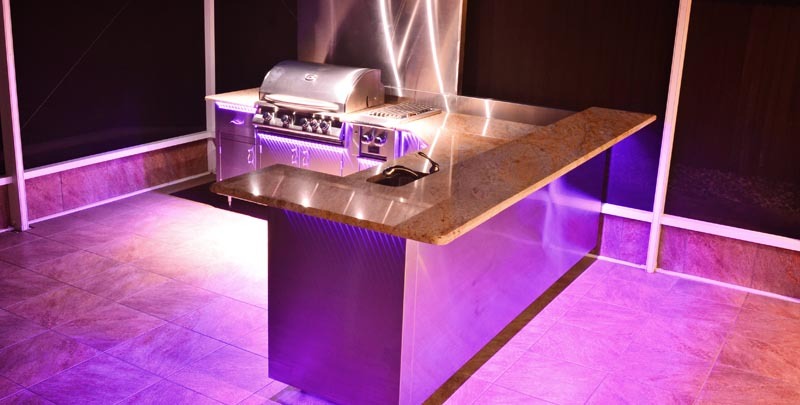 LED Strip Lights – Adding some LED Strip lights under your bar counters or BBQ area makes a great addition to your backyard. It adds light to see, and also gives your yard an atmosphere that makes you want to stay out there after dark. Add a wireless controller like the Auralux Wifi system to have it controlled with your smart phone, or just have it turn on or off automatically so you never have to worry about BBQ-ing in the dark. Whatever the occasion, lights can accent a space beautifully both indoors or out. 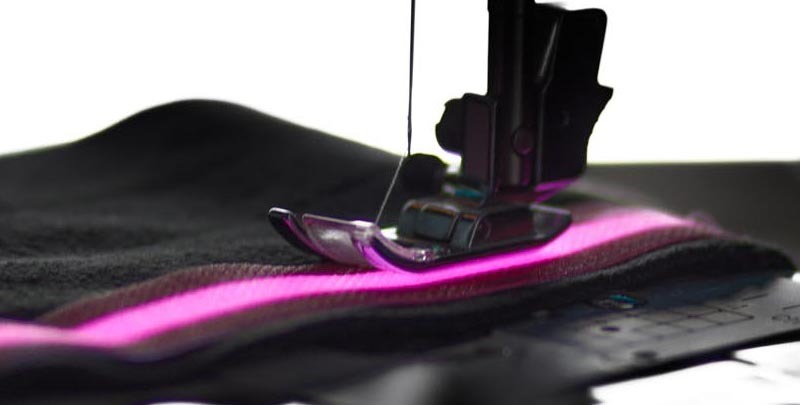 Have a space you’ve added lights to, or want to show off your stuff and have a chance to be featured on our page? Then find us on your favorite social platform (@Ellumiglow) and be sure to hashtag #AddLightAnywhere.